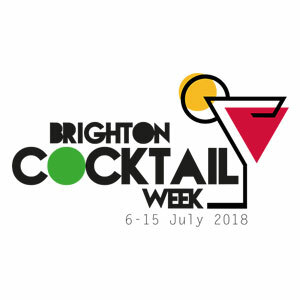 Brighton Cocktail Week (BCW) will return for a second year, with an expanded ten-day programme of events and new partner brands and bars. Kicking off with the ‘Cocktail Court’ at the Old Ship Hotel on Friday 6th July, Brighton Cocktail Week will feature over 20 local spirits producers and international drinks brands, including Tuaca, Bacardi, and Fentimans. BCW follows the familiar format of food and drink tasting sessions offered at heavily discounted prices for visitors who purchase a £10 wristband. Said wristband will provide access to the Cocktail Court on July 6/7th, and cocktail offers at over 30 participating bars and restaurants. Events include cocktails and cheese at La Cave a Fromage, a Negroni masterclass with Blackdown Artisan Spirits at Market Restaurant, a one-off frozen dinner masterminded by gelato supremo Seb Cole of Boho Gelato, a historical themed canapés and cocktail event over at Metrodeco with food historian Sam Bilton, plus various pop up bars and menu takeovers celebrating our city’s vibrant cocktail scene. BCW will close on Sunday 15th July with Brighton’s first ever Flair World Open competition, supported by Bacardi. For more information, and to purchase a wristband, visit the Brighton Cocktail Week website.